It’s the final event of the spring season for Beatrice.com’s reading series the Mercantile Library Center for Fiction, so we’re making it a big one. 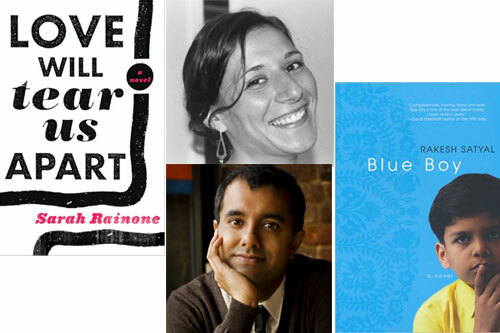 Naturally, Rakesh Satyal and Sarah Rainone read from their debut novels, Blue Boy and Love Will Tear Us Apart. But I’ve also invited members of the Bushwick Book Club to perform original songs based on those novels—and there’s also a very strong possibility that Sarah and Rakesh will demonstrate their own musical talents before the evening’s through! To accomodate a larger audience (we’re hoping BookExpo America attendees will want to go out on the town before the trade show begins), this reading will be held at The Slipper Room (167 Orchard Street). Cash bar opens at 6 p.m., and the evening’s festivities start at 7 p.m. If you’d like to give me a sense of how many people to expect, an RSVP would be helpful, but you’re welcome to come without emailing ahead of time, too. 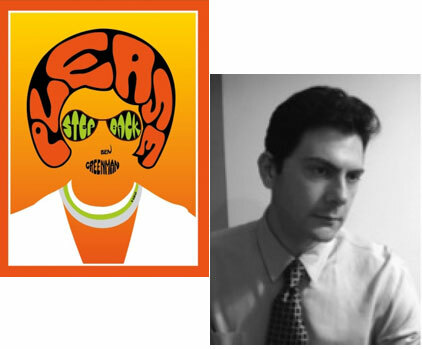 New Yorker editor Ben Greenman recently published a new novel, Please Step Back—just before it came out, he spoke with my friend Melissa Kirsch about the ways in which the Web has altered journalism—alas, often for the worse. “It’s harder to build a body of work slowly, over time…without a million little snap judgments all along the way. While in the past those snap judgments would evaporate, now they’re preserved in digital amber,” notes Greenman. He says we should stop fretting over “print/electronic opposition” and focus on the more crucial issues of authority, frequency and identity, which persist in every medium.